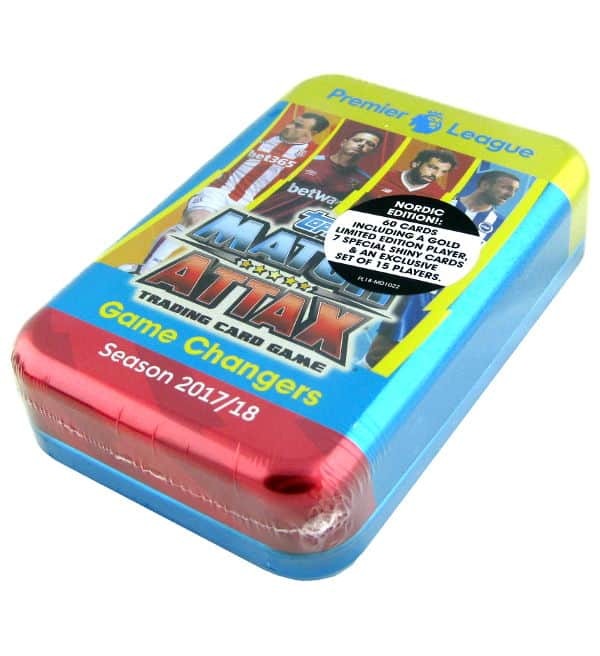 Game Changers Tin of Topps Premier League Match Attax 2017 / 2018 Nordic Edition with 60 cards including 7 special shiny cards ? an exclusive set of 15 players (Game Changers) ? 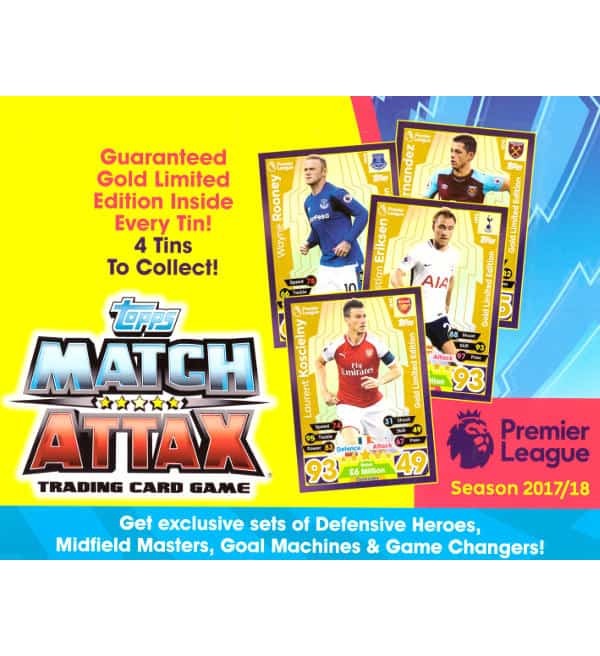 1 Limited Edition Gold Card.